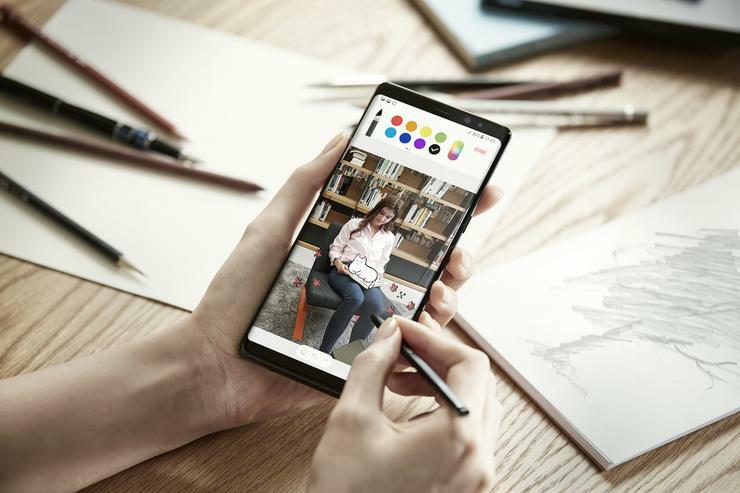 Samsung has officially set a date for the debut of its next Galaxy Note smartphone, sending out a teaser for a hardware event in New York event on the 9th of August. The video doesn't give too much away but does reveal the existence of a new yellow color variant for the company's flagship phablet. Rumors and leaks have suggested that, like the Samsung Galaxy S9 and S9+, the Samsung Galaxy Note 9 will be a relative light upgrade on last year's model. It's said to feature both the variable aperture found in this year's S9 and S9+, as well as a slightly-larger 6.38-inch display. A revision of the device's signature S-Pen stylus is also expected, as is an under-the-hood upgrade for Samsung's Bixby voice assistant. Last but not least, some rumors have even suggested that the Galaxy Note 9 could feature a hefty 4000mAh battery. If true, it'll be the first time that Samsung have gone above 3500mAh batteries since the infamous failure of the Galaxy Note 7. We'll see out how accurate all of that info turns out to be when the Galaxy Note 9 is shown off on the 9th. Stay tuned.